Chocolate Lava Cake – Moist chocolate cake filled with chocolate lava and topped with ice cream and whipped cream. Flan – Traditional Mexican style custard with delicious caramel sauce. Mexican Banana Split – Three scoops of vanilla ice cream drenched in caramel, chocolate and strawberry sauce, nestled between two slices of banana. Churros & Ice Cream – Golden fried churros dusted with cinnamon sugar and served with vanilla ice cream. 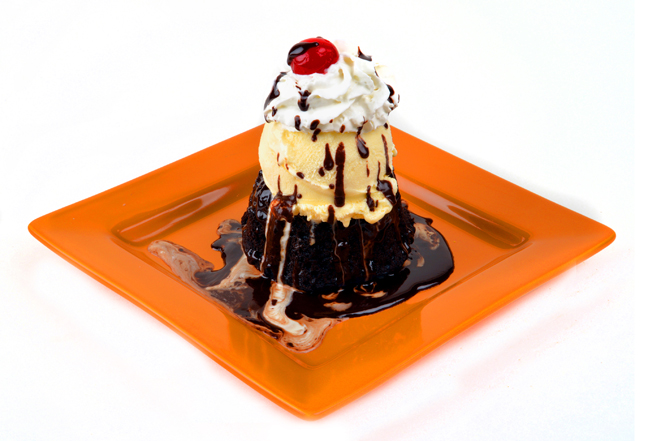 There is always room for dessert here at Casa Sol y Mar!